In the course of her interview, Whaley discusses the often troubled history of black women in comics. She cites Eartha Kitt’s portrayal of Catwoman on the 1960s Batman TV show as an early inspiration but also acknowledges the marginalizing of such pioneering black female comics as The Butterfly and Vixen. She also laments the fact that Barbara Brandon-Croft’s comic strip, Where I’m Coming From, did not have the popularity or impact of The Boondocks. 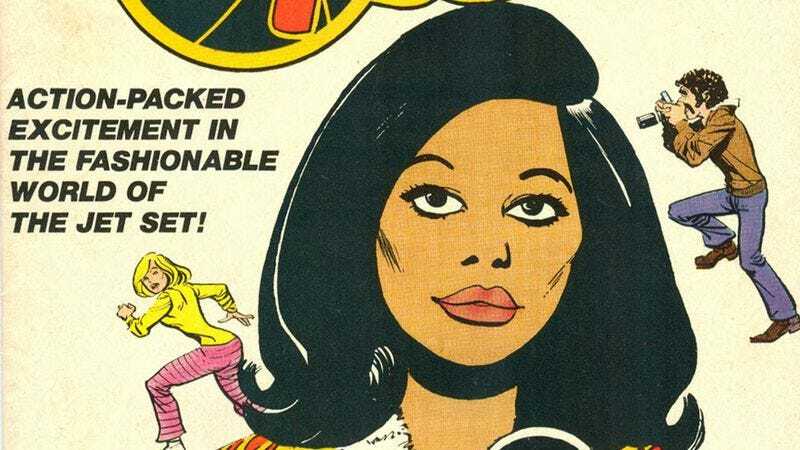 A comic strip like Jim Lawrence’s Friday Foster, centering around a black female photographer, was “an exception in some ways,” but Whaley says that the 1975 film adaptation of the comic with Pam Grier “leaned toward black exotica.” Happily, as she looks toward the future, Whaley envisions “a black female revolution in the sequential art world” led by a bold new generation of artists who have something to say and a place to say it.